There’s never a bad time to begin investing in precious metals, but it always pays to take a little caution in where you choose to make your gold investments. 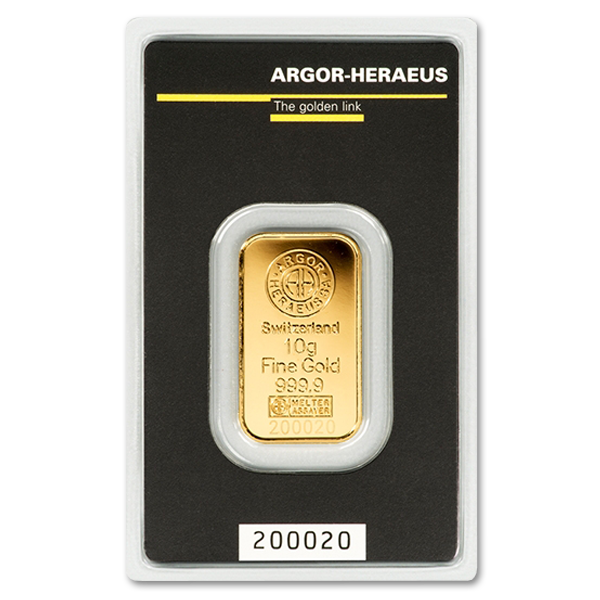 Within the gold industry there are few firms as well respected as Argor-Heraeus, and that’s why we feel confident in carrying this amazing 10 gram gold bar. 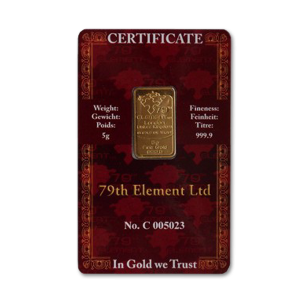 There is a warm sense of security that comes with a well-crafted gold bar, price just isn’t the only factor be considered. The reputation and trustworthiness of the firm that crafted the bar is just as important as the purity of the metal itself, especially when it comes to resale. Coins aren’t the only way to appreciate the beauty of your investment, the craftsmanship and engravings that mark a gold bullion bar as distinct are just as beautiful and unique to the eye of those who buy gold bars online as the intricate details of a numismatist’s passion. 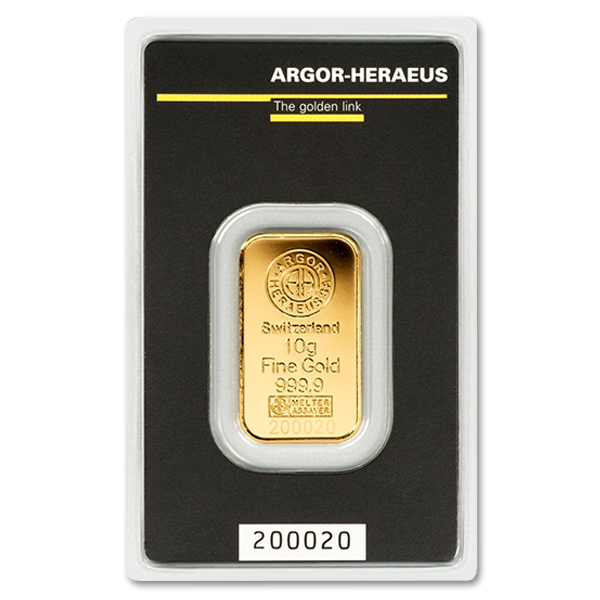 This bar is marked with the distinctive engravings of the Argor-Heraeus firm, complete with the country of Origin and “10g Fine Gold 999.9” followed by the serial number that marks it as unique. 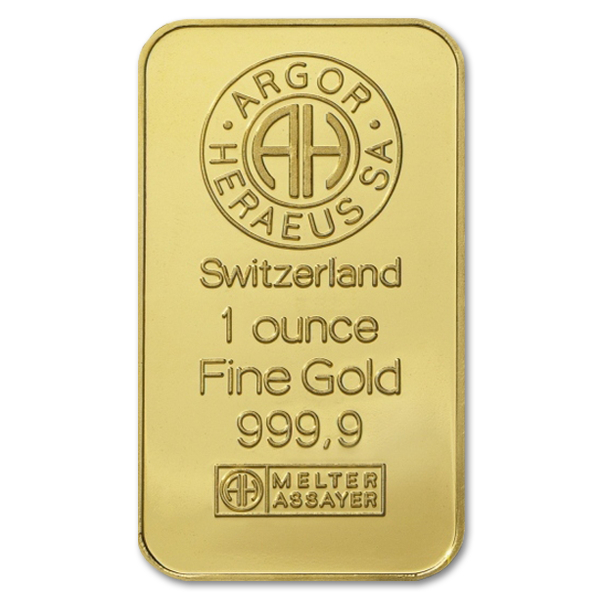 On the back of the bar can be found the Argor-Heraeus emblem in a repeating pattern, undisputable proof of its origin and authenticity. All companies find their start somewhere, but few find their start with as much distinction and respectability as that of Argor-Heraeus. Founded in 1660 in Germany by the Heraeus family, this firm got its start serving as court apothecaries for the local counts of its home town. From there it was Carl Heraeus that established the reputation for excellence and innovation that it has carried with it ever since. The foundational method by which large vats of platinum can be processed and poured out pure was developed by Carl, and made the company’s reputation. A reputation that has never faltered in its nearly 400 years of service. 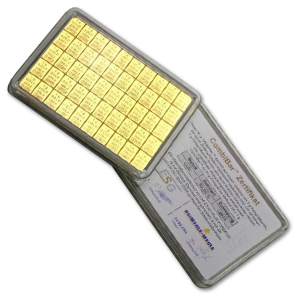 Whether you’re buying this 1 oz gold bar with bitcoin, PayPal, or credit card, you’re making an investment that’s the perfect addition to your portfolio. 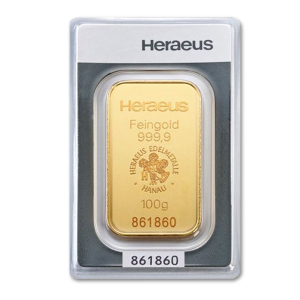 Gold has been shown to grow in value when times are economically difficult, and in today’s uncertain world that is a valuable trait for an investment to have. Add to that the luster and beauty of natural gold, and it’s clear that this investment piece is also an investment in aesthetic beauty as well as your family’s security.